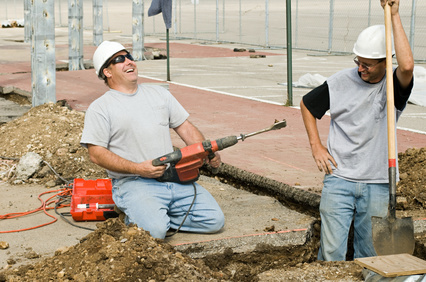 Georgia workers’ compensation law says that your work injury will trigger workers’ comp. benefits if it arose out of and in the course of your employment. Your injury must meet both of these conditions to be compensable as a workers compensation injury. “In the course of employment” generally means that your injury occurred while you were on the clock, and not on break or engaged in horseplay. “Arising out of” your employment means that there must be some connection between your work activity and your injury. 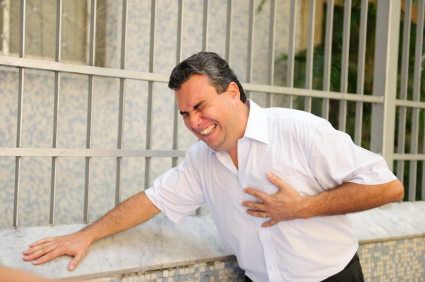 If, for example, you performing your regular job duties and you suddenly have a heart attack or a stroke, your employer will not be required to pay for your medical care or provide your temporary total disability benefits because it is assumed that your underlying heart condition or vascular problem was not related to your job duties. You can recover benefits if you can prove that your heart attack, stroke or other long standing medical problem was caused by conditions at work. For example, if you are exposed to a chemical at work that triggered a heart attack, or a fall or some other injury, your injuries would be compensable. Generally, however you can expect pushback from your employer and their insurance company if you experience an injury that most likely has underlying causes other than your work activity. A medical problem that has minimal relation to your performance of job duties, which arose from an unknown cause is called an idiopathic injury. Idiopathic injuries that do not arise out of your employment are not compensable under Georgia workers compensation law, so this issue often results in litigation. Several idiopathic injury cases have reached appellate courts in Georgia, although the law in this area is still evolving. These appeals cases are helpful to better understand where workers’ compensation judges are supposed to draw the lines between a non-compensable idiopathic injury and a compensable work injury. in the case of Harris v. Peach County, a custodian bent over to pick a pill off the floor and dislocated her knee because of her excessive body weight. The Georgia Court of Appeals held that Ms. Harris’ injury was compensable because she was engaged in an activity related to her job duties. While Ms. Harris’ body weight was no doubt the main factor causing her injury, the appeals court found her injury compensable because she was performing a job duty when her knee buckled. Presumably Ms. Harris’s injury would not have been considered a work injury arising out of employment if her knee had buckled while she was walking down a hallway and not engaged in any specific activity. In the case of Davis v. Houston General Insurance Company, however, the Georgia Court of Appeals reached a different conclusion. In the Davis case, Ms. Davis, a nurses aide, injured her back while she was putting on her coat, getting ready to leave work for the day. The Court noted that the risk of back injury was not in any way related to the claimant’s job duties. Putting on a coat is not a work function and thus the relationship to the Ms. Davis’ job was too tenuous. Would the court have reached a different conclusion if Ms. Davis was putting on a “HazMat” suit to clean up dangerous chemicals? I would argue that putting on a HazMat suit is causally related to one’s employment whereas putting on an overcoat to go home is not. I hope you can see that the question of whether a work injury is causally related to a particular job requires a case by case analysis and can involve some very careful line drawing. What Should You do if the Insurance Company Suggests that Your Claim Should be Denied as an Idiopathic Injury? If you sense that the insurance company intends to deny your claim on the grounds that your injury has nothing to do with your job duties, you should avoid speaking directly to the insurance adjuster or anyone involved in the handling of your claim. The words you use in describing what happened and how you felt at the time of your accident can be used against you, thus, I would recommend that you speak to a lawyer like me as early in your case as possible. When you are put on the spot to “explain what happened” you may say something that sounds normal in conversation but could be used against you in your workers’ compensation claim. If you have any questions about idiopathic injuries or any other Georgia workers compensation issue, please call me at 770-351-0801 or email me by clicking on the link. Georgia law is fairly well settled that an injury you incur while on your way to or from work is not a compensable injury. The policy behind this rules arises from concerns about the lack of control your employer would have over your comings and goings as well as problems that your employer would have investigating an injury not on its premises. I recently read about a case in North Carolina, however, that might support a re-evaluation of the “no coverage for ingress or egress from work” rule. Let me emphasize that this case is not a Georgia case but the facts reflect changes in technology that might expand the notion of going to and from work. You can learn more about the James A. Hunt v. North Carolina Industrial Commission by clicking on the link. The North Carolina case arose in 2009 when a middle school principal was shot in the face and hand while driving to work and talking on a cellphone to a school colleague. This case is a good example of how creative lawyering can help courts adapt statutes to current technology. I suspect that when the North Carolina statute was written barring compensation for an employee’s coming and going, cell phones were not widely available. How many of us “work” in the car making and receiving phone calls and (hopefully as passengers) reading texts. At the very least, now there is an argument that arriving at work does not necessarily mean setting foot in your company’s work site. Can Insurance Company Deny Treatment for Medication Side Effects? Recently I had to handle a situation for a client when the workers’ compensation insurance company denied treatment for migraine headaches caused by medication given to my client by an authorized physician. In this case, my client hurt his back badly about a year previously when he was lifting HVAC equipment. For several months, the insurance company fought us in our attempt to get proper medical treatment but eventually I was able to get him to a good doctor who scheduled him for surgery to repair a large herniated disc in his lumbar spine. Post surgery, my client developed complications when fluid began to build up in the spinal canal. The surgeon prescribed a strong medication to help drain the fluid and prevent an infection. Unfortunately this strong medication resulted in migraine headaches. Several weeks into the treatment regimen, a new adjustor was assigned to this claim. The new adjustor decided that the migraine headaches were not related to the work injury and she canceled the pharmacy authorization. Suddenly, my client was left without medication to treat his frequent and painful migraine headaches. As you might imagine, this development left my client in a great deal of pain. I immediately got on the phone with the adjustor but she would not change her position. I then wrote the treating doctor to request a statement from him that “connected the dots” and related the migraine headaches to the original work injury. I also got on the phone to the defense attorney representing the employer/insurer to demand that my client’s prescription be approved. It took about 5 phone calls until I finally got the defense attorney to call me back – he acknowledged that our position was correct and he was able to convince the adjustor to start the medication authorization again. This type of arbitrary action by workers’ comp insurance adjustors is all too common. Adjustors come and go and a reasonable, knowledgeable insurance claims person can be replaced by someone new who is inexperienced, stubborn or even vindictive. As a claimant’s lawyer, I make every effort to stay on top of problems like the one my client experienced and to take whatever steps are necessary to solve these problems. 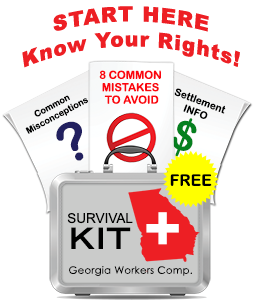 Although Georgia’s workers’ compensation system is supposed to foster an environment where legitimately injured workers can get needed treatment and then return to work, the reality is much different. It has been my experience that workers’ compensation practice is just about as adversarial as divorce practice. Often justice and fair play take a back seat to “winning” and efforts by employers insurance companies to avoid paying benefits. Where I work I have been told that carpel tunnel is not recognized as a workman’s comp injury if I wasn’t having problems with numbness before. Is this correct? The short answer is “no, this is not correct.” Repetitive motion injury (often resulting in a diagnosis of carpel tunnel syndrome) is a very common work injury, especially for factory workers performing manual labor with their hands. Will Workers' Comp Cover a Knee Replacement Arising from Years of Heavy Labor? Jodi Ginsberg responds: Andrew, thanks for your interesting question. Here is how I would analyze your situation. First, I would want to know if your potential need for a knee replacement is the result of your most recent injury or is it a combination of this injury and your past injuries/surgeries? Your employer and its insurer may try to argue that your current problem is the result of past injuries as opposed to this incident, and they may try to deny coverage. Even if your employer tries to deny coverage based on your old knee problems, your case may be winnable if a treating doctor will go on record that your most recent injury aggrevated your pre-existing condition, and if you did not misrepresent your knee problems at the time you were hired. If your employer has accepted responsibility for covering your knee problem, then the next step would be to get you to a specialist. Under Georgia’s workers’ compensation law, an authorized treating doctor can refer you to a specialist and, generally, the insurer would be responsible for paying the specialist to treat you. If your employer has a valid "posted panel of physicians" there may be a specialist there that you could choose. If the employer is denying coverage, you would need to request a hearing on the issue of whether your injury is compensable. As you can see, the answer to your question depends on a number of factors. I do not think you can or should assume that your employer or its workers’ compensation carrier will act in your best interest. Feel free to call me at 770-351-0801 if you wish to discuss further. On the Job Injury Damages Left Arm – Now Right Arm Hurts Due to Overuse. Does Workers Comp Cover the Right Arm? I wanted to know if there was anything that could be done to help me. I had surgery on my left shoulder and have reached MMI with a disability rating and significant work/lifting restrictions (I’m a nurse). Now, my right arm is starting to grind and bother me. I know it’s from overuse of it because I had no problems with it until I kept having surgeries on my left (3) and had to use it all the time. Is this a part of my workers comp. claim or do I have to be on my own with this? Jodi Ginsberg replies: Sonji, he injury to your right arm is potentially compensible as part of your workers’ compensation claim. If your authorized treating physician will agree that the problems you are having with your right arm are consistent with overuse that is reasonably and logically the result of having only one functioning arm then you have a strong argument for benefits.